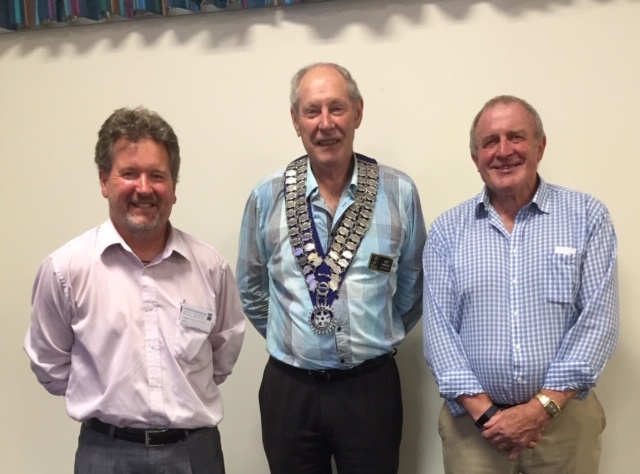 Welcome to Eastern Hutt Rotary's e-Bulletin. Important Note: Follow the instruction at the top of your email message: "Having trouble viewing this email? "Click here" to view it online", click there to read everything. Fellow Rotarian and former Hutt News Editor, Simon Edwards introduced Colin. Hailing from Invercargill and an accountant by training in the energy sector. For over 25 years he has been an environmentalist and interestingly the originator of Careless Days. Colin started with the following video about Baring Head HERE, followed with his presentation HERE. It's clearly a magnificent setting, only a 40min walk from the Wainuiomata river car park. He'd be keen to organise a group visit for us, as there are many ways Rotarians can help with the restoration of this iconic setting. A highlight of our recent European tour was a visit to the National Memorial Arboretum in Staffordshire. Please study and plan ahead, especially if you are on duty to write a Bulletin Contribution. A reminder that it's also your responsibility to find a replacement if you are unable to fulfill your duty. * Guess Who's Coming to Dinner: An upcoming event - please check this out HERE. * Our Weekly Bulletin: Wanted to know something in an earlier Bulletin? You don't need to search through you old emails, go to the front page of our website and scan down. You will not only see the current and at least 4 of the recent Bulletins. Just click on these to find what you are looking for. Visitors and prospective members always welcome.